1. The promoter of this offer is Weber-Stephen Deutschland GmbH, Rheinstr. 194, 55218 Ingelheim, Germany. 2. These are the terms and conditions for the promotion “Grill Academy Black Friday promotion – Book a Grill Academy course and get one for free” by Weber. With the participation in the Offer, you are agreeing to be bound by these terms and conditions of participation. 3. The Offer is addressed exclusively to private individuals of at least 18 years of age, who book a Grill Academy course delivered by an Authorized Grill Academy partner for the dates between 22nd November 2018 and 30th September 2019 from Weber in the following countries. The following Terms and conditions are only applicable in the following countries: United Kingdom and Ireland. 4. The Grill Academy Black Friday book a course and get one free promotion requires the acquisition of a Weber Grill Academy course from Weber.com during the Term. The free place offer shall be fulfilled at the point of purchase through the application of voucher code: ‘BLACKFRIDAY’ at the point of checkout, and can be redeemed for a place on the same course or for a course of the same or lesser value within the Term. No substitution or cash alternative is available. 5. 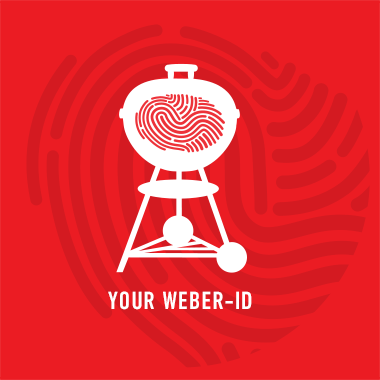 In case of definitive cancellation of the booked Grill Academy course by Weber or by the Authorized Grill Academy partner, the Purchaser will receive a replacement voucher for both places booked. If the booking is cancelled by the purchaser within the standard terms and conditions of the Grill Academy the purchaser will receive a refund for the amount paid at the time of booking. Weber also reserves the right to exclude persons from participation who wish to gain or obtain advantages through tampering or who violate these terms and conditions. 6.Weber reserves the right to interrupt or terminate the Offer without giving any reasons. This applies in particular in the event that due execution cannot be guaranteed for technical or legal reasons. In such a case the participants are not entitled to any claims against Weber. Weber also reserves the right to change these Terms and Conditions of Participation - even without notice. Weber‘s decisions are binding and final for all participants. Should individual provisions of these Terms and Conditions of Participation be or become invalid, this shall not affect the legal validity of the remaining Terms and Conditions of Participation. Legal recourse is excluded.